South Korean scientists have successfully transplanted organs from a genetically modified pig to a monkey, a state research center said Wednesday, raising the prospect of potential animal-to-human organ transplants. 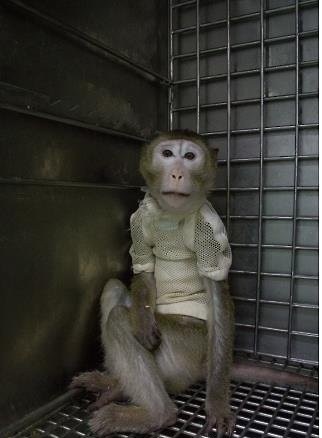 The cynomolgus monkey, also known as a crab-eating macaque, remains healthy for a record 51 days after receiving the heart and cornea of the pig, according to the National Institute of Animal Science, a research arm of the Rural Development Administration. The nation's previous record in this field was 43 days. Oh Sung-jong, the head of the institute, vowed to make further efforts to secure global competitiveness in xenotransplantation, noting that South Korea has what it takes to perform organ transplantation from one species to another. In 2010, South Korea engineered the pig -- called Mideumi in Korean -- which has a gene that causes excessive production of membrane cofactor protein, which helps prevent hyperacute and acute rejections. The rejection of foreign organs in human bodies takes place in stages: hyperacute, acute, cell-mediated and chronic. Hyperacute rejection usually results in the mortification of cells or organs within seconds or minutes. The institute said it will work with a bioengineering company in performing a transplant of pancreatic islets from pigs to monkeys in the hopes of finding methods to eventually treat human diabetes patients in the future. Pancreatic islets, also called islets of Langerhans, are located within the pancreas and secrete insulin, which controls blood sugar levels.